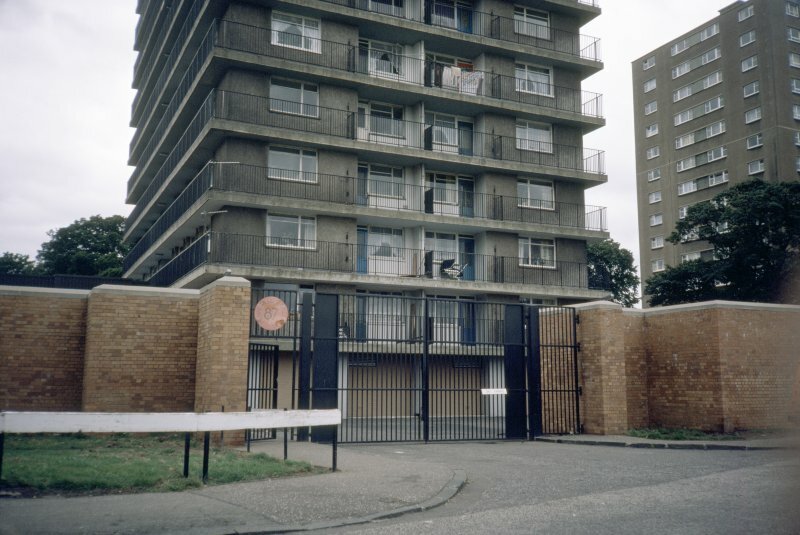 Edinburgh, Martello Court. General view from South. 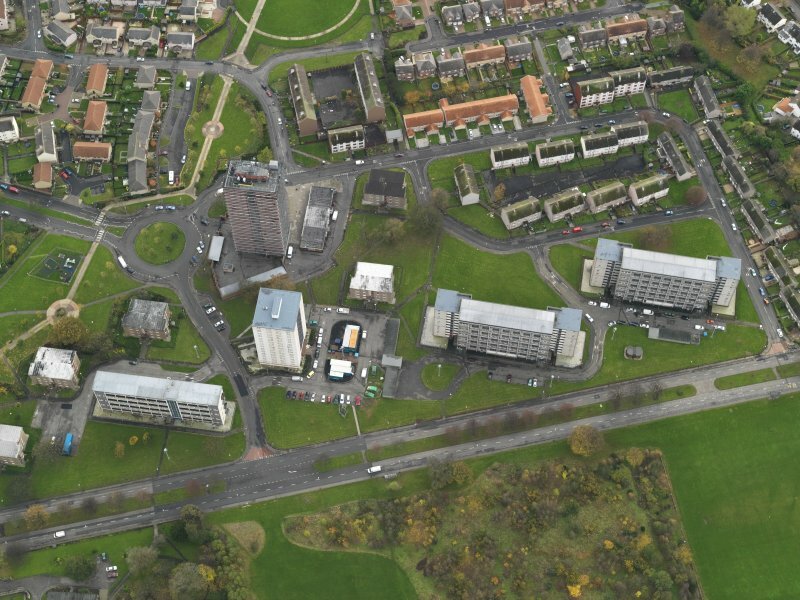 general oblique aerial view centred on Muirhouse, taken from the W.
Edinburgh, Martello Court (Muirhouse Phase II): View of gated entrance to Martello Court multi-storey block. 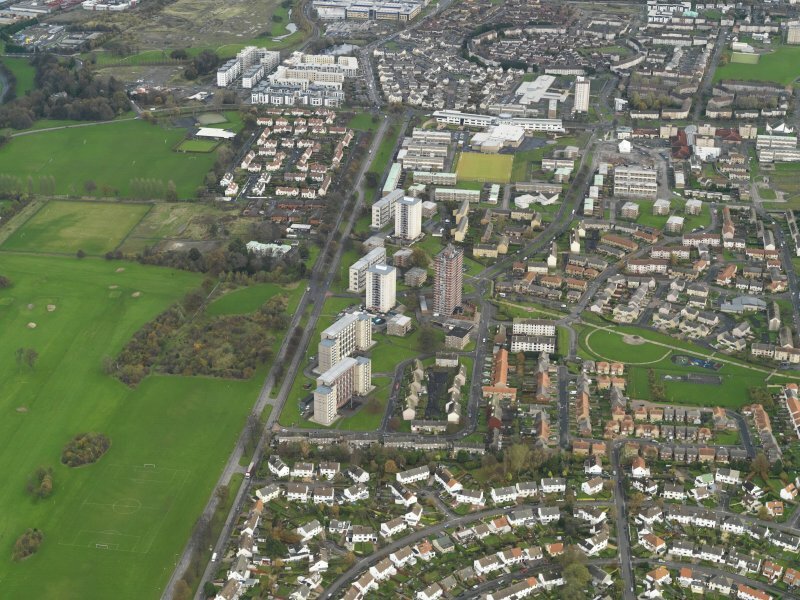 General oblique view centred on Muirhouse, taken from the NNW. 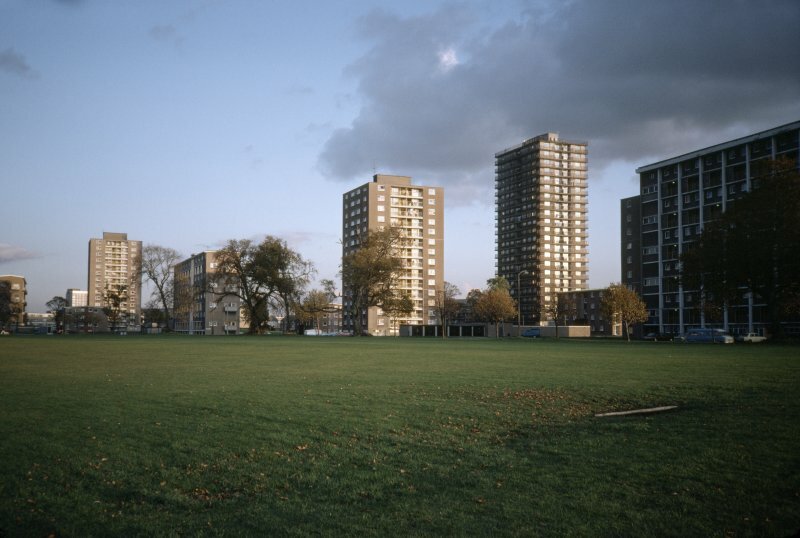 Edinburgh, Muirhouse Parkway (Muirhouse Phase II): General view from south-west of multi-storey blocks. 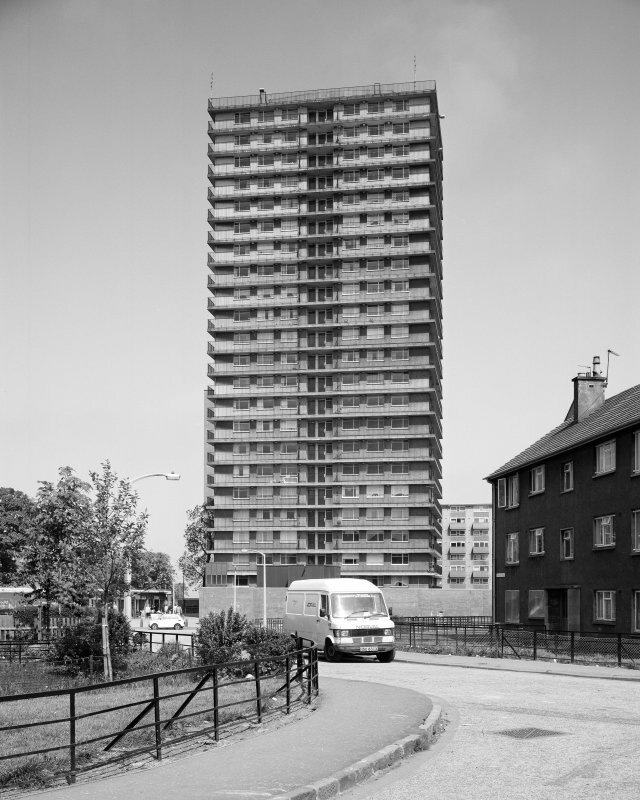 Edinburgh, Martello Court (Muirhouse Phase II): View of 23-storey block. 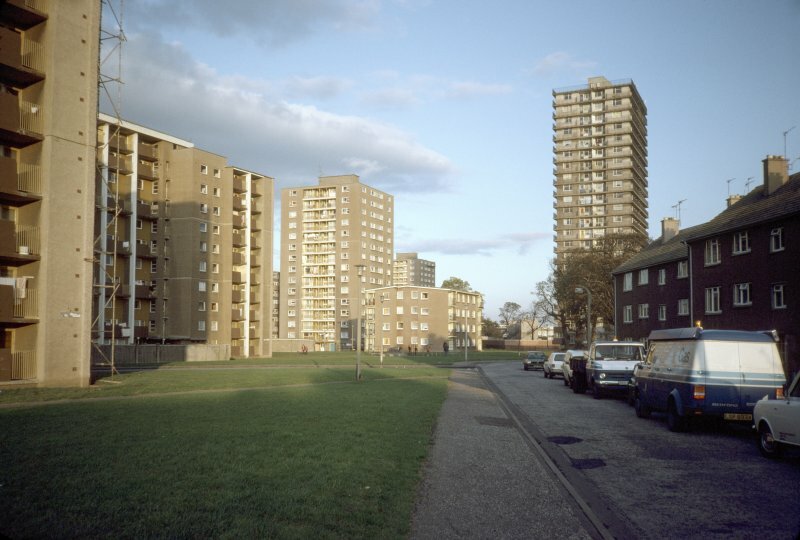 Edinburgh, Muirhouse: General view of multi-storey blocks. 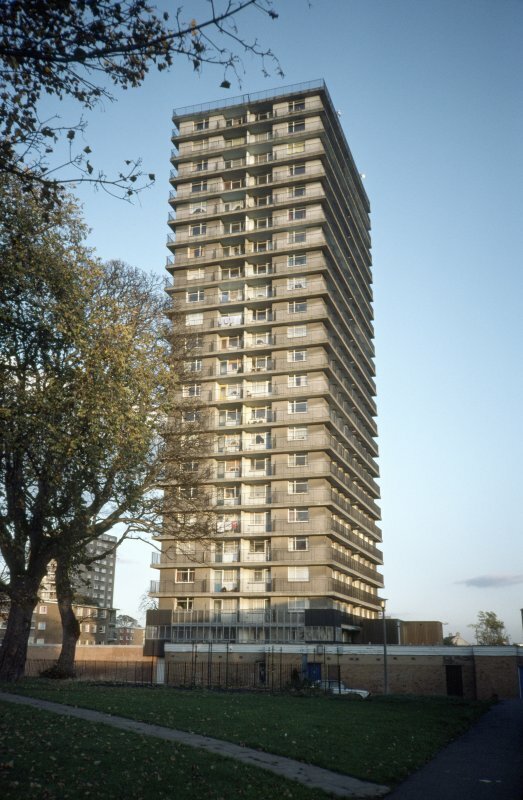 A 23-storey point block with balcony access built as public housing by Edinburgh Borough Council. 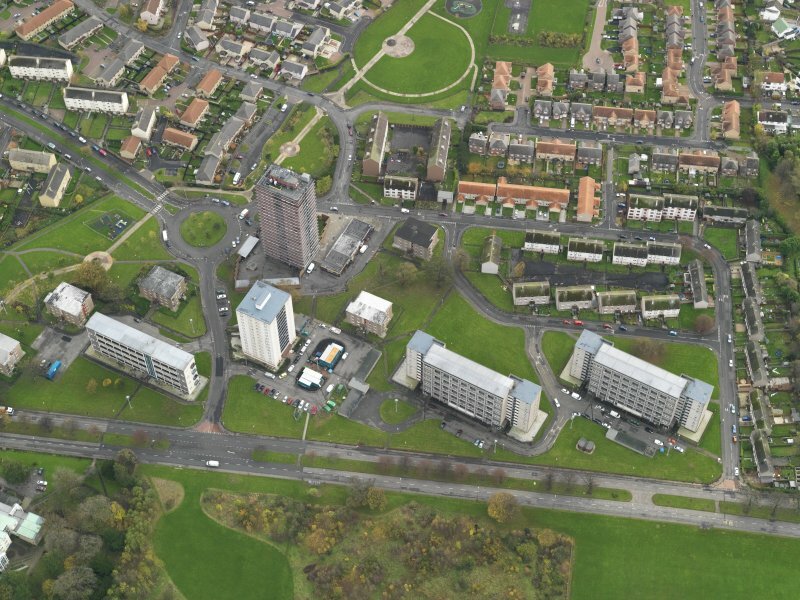 The block, consisting of 88 dwellings, constituted part of Phase II of a development scheme at Muirhouse. Construction was approved by committee in 1962. The contractor for the development was William Arnott McLeod & Co. Ltd. Photos taken by Dr Miles Glendinning for research purposes.